Big order, right? Thankfully we can do this in simple ways. 1. Explain what July 4th is all about. It’s our country’s birthday. On July 4, 1776, our county’s founders declared independence from Great Britain. It was dangerous because they were going against one of the world’s strongest armies, yet they wanted to make their own laws and govern themselves. July 4th is a time to celebrate the bravery of our founding fathers. It’s a time to celebrate our country. 2. Celebrate the American flag. Find a photo of an American flag and count the stars and stripes. What do they stand for? The 50 stars stand for the 50 states. The thirteen stripes stand for the original British colonies. The flag represents our country and is recognized by people around the world. Because of this we need to treat it with respect. Ask your kids what respect for the flag looks like. 3. Rejoice in our freedoms. 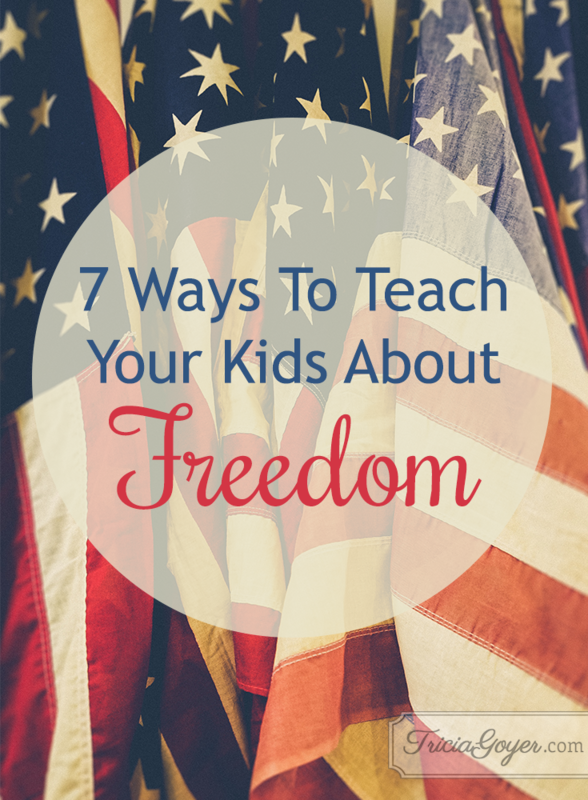 Something that makes the United States special is the freedom given to people who live here. We are allowed to meet with friends, write our opinions, gather in churches and pray. Some places around the world do not allow these things. These rights are written in the US Constitution and Bill of Rights. Take a moment to thank God for these freedoms. Read the rest of this post over at tommynelson.com!